Technical staff from underlayment manufacturers and INSTALL instructors finalized the INSTALL Substrate Prep Certification in early January. 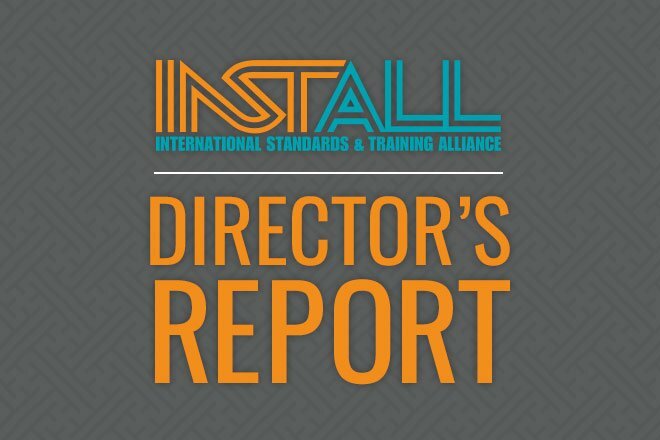 The certification was created with the same process as INSTALL curriculum and other certifications- collaboration with industry subject matter experts representing installers, employers and manufacturers. Successfully completing this certification proves that the installer is a knowledgeable and dependable substrate preparation expert. We believe that this will become our most desired INSTALL Certification because every floorcovering installation requires awareness, knowledge and skill with substrate preparation. INSTALL sincerely thanks AC Tech, Ardex, CMP, Mapei, Schönox, SIKA, TEC, USG and UFloor Systems for their help in creating the certification and supporting it through specifications. The industry has a glaring need for competence and reliability in substrate preparation- every flooring installation depends on it- and the INSTALL Alliance is able to provide the solution. INSTALL Sees Continued Growth in Southern U.S.